Looking for a home with a beautiful pool and lots of updates? This Nottingham Forest home on a cul-de-sac has lush landscaping surrounding the back yard decks, pool, and spa. There's great flow downstairs with hardwoods, crown molding, plantation shutters, recessed lighting, a kitchen featuring granite counters, appliances, and a Thermadore 5-burner range. 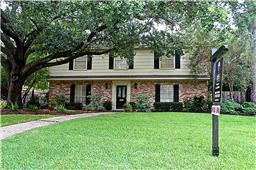 This great Houston home for sale is in Spring Branch ISD. Here's more about 14406 Chadbourne in Houston. Take a tour of this home.